Metropolitan Industries recently installed a Vacuum Condensate Unit to service a building on the campus of Northwestern University in Chicago, IL. This system replaced an existing vacuum condensate unit that was not functioning properly. The operation of the new system is what makes it different from the existing unit. A different design was established in order to assure longevity of the system. 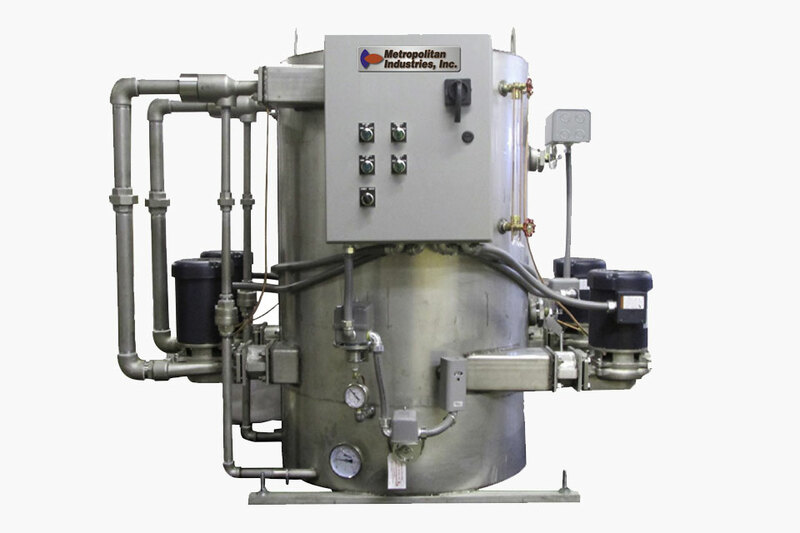 Vacuum condensate pumps are factory built and tested to maintain vacuum and remove condensate and non-condensable gases from a steam heating system. These units are complete assemblies which include vacuum producing pumps which pump through exhauster assemblies, condensate return pumps, tanks and controls. Units can be customized and engineered for almost all applications. Factory tested to assure a leak-free unit and to check and set all mechanical switches.